First the concrete mixing plant will have an adaptation that we usually call the running in period from leaving the factory to being put on production, only passing the use in running in period can ensures the normal production of concrete mixing plant, so in the operation of concrete mixing plant, we must be careful in the running in period. Second in the production of the concrete mixing plant, we should have maintenance and management to the mixing plant equipment to make equipment be in the best working condition. In the daily maintenance, we should check the existing security risks and eliminate them, to ensure the safety and high efficiency of concrete mixing plant. 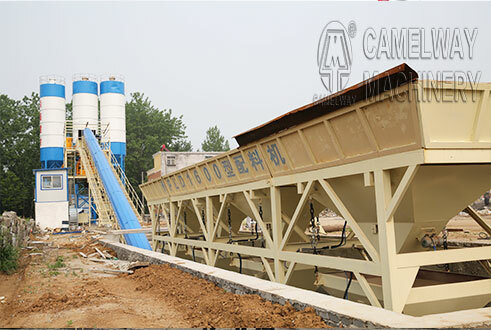 Finally, if we want to make customers be at ease when use the concrete mixing plant, then it is necessary to build a good service system to solve the after-sales problems of customer so that we can carry out technology guidance for customers in a timely manner after the products being sold, and ensure the problem in the production can be quickly solved.